It has been argued that the introduction of a Performance Management System can increase the performance of the company by up to 20%. Ashworth Black Limited can design a bespoke performance / contribution pay system to link into your existing Performance Management system. If you don’t already have one, we’ll even design a new Performance Management System for you! 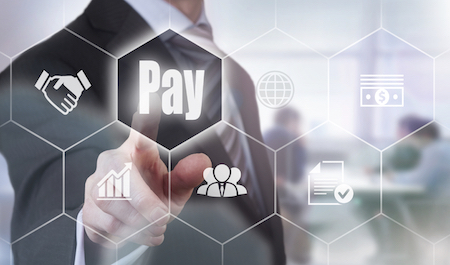 There are a significant number of different Performance Pay Systems which can be introduced. Therefore, rather than describing each of the systems and their merits or otherwise, it is easier to run through the major principles of any performance pay system and the choices available therein. We can offer advice on the best performance pay system for you, making it fit the culture and values of your company. Pay increase – this is a simple performance pay scheme where the better the employee performs, the higher their pay increase . This takes no account of where colleagues currently sit in the pay range and therefore salary anomalies will persist. Actual salary – the most popular method of performance pay is to use actual salary and have different positions relating to a position in the pay range equivalent to performance. Anomalies are resolved as all colleagues performing at the same level in the same pay range are eventually paid the same salary. Progression through the pay range is based on performance, the greater the performance, the faster the progression. Employees achieving all of their objectives can, over time, expect to earn the mid point/ market pay rate for the job. Performance Pay – rewards colleagues for how they perform against their objectives. Performance pay is seen as a one dimensional system. Contribution Pay – rewards colleagues for how they perform against their objectives and how developed/capable they are. Contribution pay is based on the theory that a fully competent colleague would be expected to fulfil all responsibilities/objectives of the role whereas a new or developing colleague would be expected to achieve fewer or less complex objectives or lower targets/measures. A “master” or expert in the role would be expected to achieve additional or more complex objectives than that required of the basic role. Contribution pay is a two dimensional system. Generally speaking, best practice dictates that if the company has a development focus, is keen to help employees realise their maximum potential and has development plans in place for employees then contribution pay is chosen over performance pay. Should behavioural competencies be incorporated into the performance pay or contribution pay system? Should employees be rewarded not just on what they achieve but how they achieved their objectives? In a contribution or performance pay system, the development of behavioural competencies is assessed together with the development of technical competencies and other skills pertinent to the job. Most companies trying to focus on development and performance, particularly in the areas of customer service and teamwork include these within their performance development framework. A Performance Pay System which rewards the development and demonstration of the right behaviours underpins not only the development framework but the challenges and aims detailed in the business objectives. Core competencies – 4 or 5 competencies used for everyone in the organisation. Companies normally choose competencies aligned to the business strategy and change them as the business strategy changes e.g. customer focus, teamwork. Competency dictionary or framework – each job has a different set of competencies chosen from a list of competencies (varying between 12 and 25), each competence has the behaviour described at different levels. Competencies for broad groups hierarchically – all jobs in the company are split into 3 or 4 levels hierarchically, each having it’s own set of competencies building on those of the lower level e.g. the lowest level has customer focus, teamwork, etc. ; the next level up has these competencies plus leadership and developing others and so on. Competencies for each job family/function split into levels – a different set of competencies is chosen for each job family or function. These competencies are relevant to the nature of the jobs within that function, and they are defined at varying levels to describe how employees in jobs at various grades within the family should behave. Ratings – Can be numbers or key words with definitions for performance only or for performance and development. Under performing – Meets no or only a few objectives and/or no or only a few of the appropriate competency levels. Achieving most – Achieves most of their objectives and/or most of the appropriate competency levels. behaviours in the competencies . Exceeding – Exceeded expectations in most of the objectives and displayed the appropriate level of behaviours in the competencies . Outstanding – Excels at all levels of expectations including competencies and may be ready for promotion. Must already be fully developed in the role. Objective assessment – requires the manager to describe the colleague’s performance or contribution in his own words using tools as an aide. Many companies use statistical probability to establish whether or not their Performance Development System is being applied properly. There should be a “normal distribution” around the rating “Achieving All” described above i.e. the statistical probability of what ratings employees should get is graphically represented by a bell curve, with most employees receiving achieving all and least employees receiving underperforming or outstanding. Some companies enforce this distribution by making managers rate staff accordingly despite team size. This obviously leads to a perfect normal distribution of ratings but results in some staff being over rated and some staff being under rated. Staff quickly lose faith in the system as the ratings don’t truly reflect performance. If performance is not truly rated how can Performance Pay truly reflect performance and be fair? We can help by designing a “grandfather system” to your Performance Development. This means that when objectives are set they are reviewed by the line manager’s manager. This ensures a consistent approach to performance planning and then before ratings are discussed with employees, proposed performance ratings are reviewed by the line manager’s manager. 1. Each function or manager gets the same % of their salary bill e.g. if the pay review budget is 3% of total annual salary bill, each manager or function gets 3% of the salary bill for their staff. 2. The budget is divided up across the whole company based on performance of individuals. The fairest and best practice way is to divide the budget up according to performance, so that the employees that are currently paid the least and are performing the best get the highest budget and those currently paid the most and are the poorest performers get the lowest budget. Budget allocated and recommended salaries produced by HR . Budget allocated and recommended salaries produced by HR for managers to tweak. Budget allocated based on performance with managers free to allocate to colleagues. Amongst companies with a Performance Pay System, the degree of devolvement of pay decisions to managers is usually directly correlated with the number of years Performance Pay has been in place and the amount of experience and understanding they have. Consider if the new salary should be set at least at the minimum of the pay range but can be much higher depending on experience. Consider if new colleagues or those who are promoted or transferred internally are fairly rewarded for their contribution. Mid year reviews fairly reward exceptional performers, high potential employees, and employees in key roles where retention issues might exist ensuring they continue to be both rewarded and motivated. Should a salary increase be warranted it could be made at this time. In a Performance Pay system, some employees who are regularly performing as Outstanding or Exceeding receive no pay increase at the annual review because they sit at the top end of their pay range. Best practice dictates that these individuals receive non-consolidated awards (approx 5% of salary). These are one off payments not incorporated into basic pay.